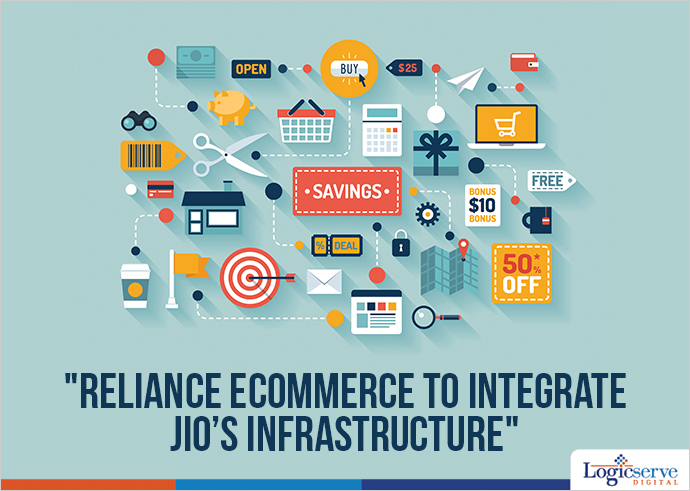 Reliance ecommerce to integrate Jio’s infrastructure. Mukesh Ambani, group Chairman and Managing Director of Reliance industries during the annual general meeting held on 12th June, unveiled its big ecommerce plans that aimed at having ‘a differentiated model’ for India. After a month, RIL elucidated its ecommerce plans. According to the plan, Reliance Retail 2.0 will leverage Jio, its Telecom arm for advanced infrastructure to create the ‘Differentiated Model’, helping them to sustain their leadership in retail space. Further, it plans to roll out its ecommerce initiative with Fashion and Lifestyle, by the end of this year. In February, RIL joined hands with SBI (State Bank of India), the largest lender, with an aim to reach the remote places via mobile platform and plans to use its 4G (fourth generation) offering through its telecom arm. Reliance digital will also introduce an entry level ultra-premium 4G (Long term Evolution) LTE enabled tablets, smartphones etc. More so, ResQ, a service brand will provide services to other leading brands.